4817 Cheshire Cir, Birmingham, AL.| MLS# 839720 | Richard Jacks UABLIVING.com 205-910-2297 | Birmingham AL Real Estate | Contact us to request more information about our Homes for Sale in the Birmingham AL area. 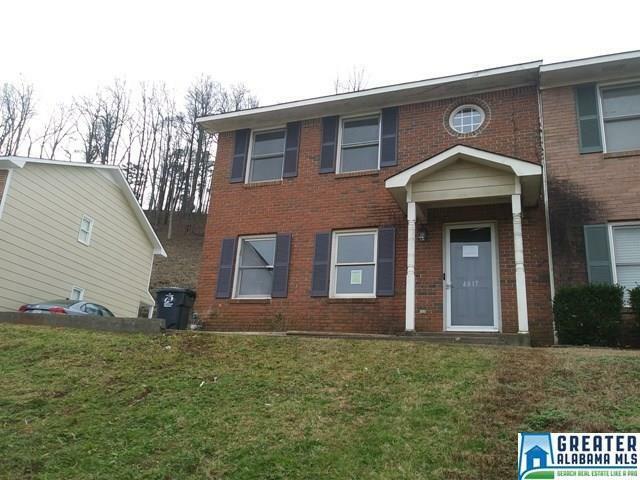 This 3 bedroom 2.5 bath townhome is tucked away on a quiet cul-de-sac in the Grayson Valley community is the largest of its kind and is an end unit! A few repairs with your signature design style together with features such as a fireplace surrounded with built-in shelving, large open kitchen and dining area, and walk-in closets in all 3 bedrooms will have you the envy of the neighborhood! This property also offers a half bath on the main level and two full baths on the second level making the mornings not so hectic. If that weren&apos;t enough, this townhome is one of very few with a concrete driveway that you only share with one of the three neighbors! Come take a look today! This is a Fannie Mae property. Driving Directions: From Chalkville Mountain Road Turn Left On Grayson Valley Parkway, Third Left On Cheshire Court, Right On To Cheshire Circle.